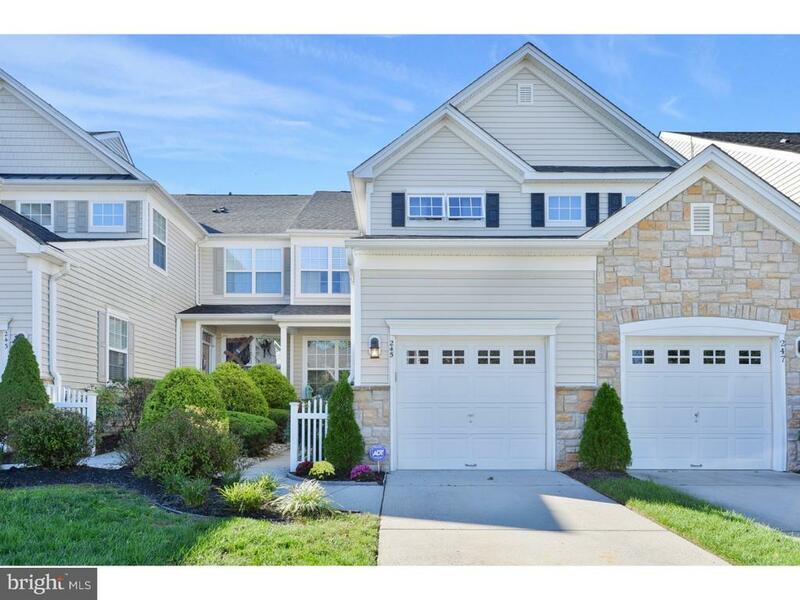 All Mt Laurel homes currently listed for sale in Mt Laurel as of 04/22/2019 are shown below. You can change the search criteria at any time by pressing the 'Change Search' button below. If you have any questions or you would like more information about any Mt Laurel homes for sale or other Mt Laurel real estate, please contact us and one of our knowledgeable Mt Laurel REALTORS® would be pleased to assist you. "*SIGNIFICANT PRICE IMPROVEMENT! * This exceptional home boasts a great street presence and a sophisticated, chic interior that sets it apart. It is both a dream for those who love to entertain, as well as a personal oasis for those who prefer to relax in comfort. Located in a private enclave with homes of similar caliber, you'll find the entire package to be just perfect. Extensive hardscaping surrounds this home including the driveway entry, walkways, steps, and an amazing back yard outdoor living area with built-in gas barbecue and firepit. All of this overlooks the impeccably maintained lush lawn with enough space for you to enjoy any way you choose. The modern interior is on full display the moment you walk through the door. Dramatic ceilings, windows and finishes flow throughout the home. Overlooking both the foyer area and the Great Room, the unique staircase and balcony area are designed to draw your eye through the center of the home. Sleek and luxurious features include include grand rooms, light hardwood flooring, and a Kitchen showplace with an abundance of cabinetry, quartz tops, oversized island, & full premium stainless steel appliance package. The Sunroom with skylights and built in stacked stone bar is a fantastic entertaining space. French sliding doors provide easy access to the patio area. The fully finished walk-out basement boasts a full tiled bathroom, fitness area, and media area. The luxurious Owners' suite includes features such as a tray ceiling, dual sided gas fireplace, oversized walk in closet, sitting area, and a lavish bathroom. The 3 additional bedrooms are large and have an abundance of closet space, and share an additional stylish full bathroom. More elements to love about this home include: designer light fixtures & window treatments throughout, zoned HVAC, 3 car side turned garage, highly rated schools and a location near major highways for an easy commute in any direction. Exceptional award winning construction and design througho"
"This beautiful townhome with a welcoming exterior and a picture-perfect interior invites you to enjoy a stylish sanctuary that you will be proud to call home. Charming landscaping and a private driveway for off street parking lead to a home that has been well cared for and beautifully updated in recent years. Once inside you'll fall in love with the open layout which is showcased by handscraped hardwood flooring, freshly painted neutral walls, crisp white painted wood trims,and abundant large windows which flood the home with warmth and light. A Great Room includes your Living and Dining Room areas and leads to the stylish Kitchen with Breakfast area overlooking the rear yard and patio. Sparkling white cabinets and neutral gray countertops set the scene in this galley style Kitchen and everything is brought to life with a full stainless steel appliance package. The Breakfast area has enough space for a generous casual dining table, and the entire Kitchen area opens to the Family Room. An island-inspired paddle fan provides additional comfort, and the Powder Room with pedestal sink completes this level. A carpeted staircase leads to the sleeping level where you'll find the Owners' suite with walk in closet and private luxury bathroom. The remaining 2 bedrooms share a well appointed main bathroom, and your Laundry area is conveniently situated in this upper level as well. But that is not all! The living space extends into the full finished basement which adds so much flexibility. This area also boasts brand new carpet. In addition, a one car garage with automatic opener provides a place for the car or simply use it for storage; NEW UPDATES INCLUDE: Updated Kitchen cabinets (2018), new hardwood flooring (2018), fresh interior paint (2018), new hot water heater (2017), BRAND NEW WASHER, DRYER AND DISHWASHER! A beautiful paver patio overlooks the rear yard and is easily accessible through sliding doors in the Kitchen/Breakfast area. 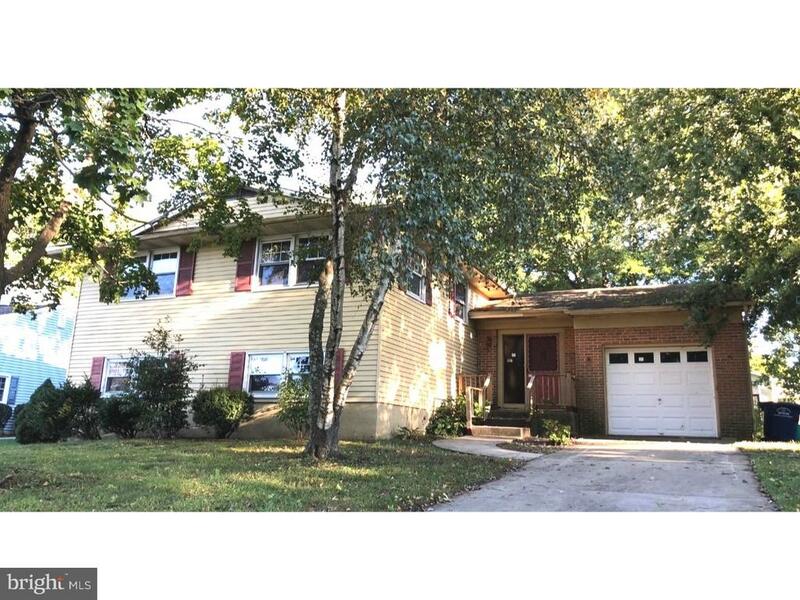 This home is located in the desirable"
"Excellent opportunity in Mill Run to renovate this 5 bedroom 3 full bath bi-level into your dream home. Upper level boasts 3 ample sized bedrooms with 1 hallway bath and 1 master bath. Kitchen and living room are a blank canvas to make an open floor plan for all your entertaining needs. Lower level has 2 full bedroom, 1 full bath and living space with so many possibilities. French doors on the lower level open up to a scenic back yard with tons of patio and garden space. Take this diamond in the rough and make it home! Buyer responsible for all certs and CO prior to closing."